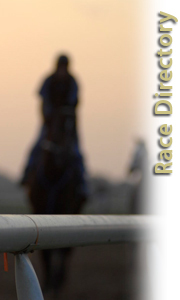 Track Directory- A complete listing of race tracks that offer Paint Horse racing, along with websites and race dates. APHA Racing Committee- A complete listing of the 2009 APHA Racing Committee, including contact information. Tattooer Directory- A listing of tattooers by states. Racing Incentive Programs- A listing of various Paint Racing Incentive Programs, including contact information. State Racing Commissions- A listing by state of Racing Commissions, including contact information.